» [SOLVED] [WIndows7x64]Network statistics not pulsing properly Welcome back, Guest. For some reason, the website started displaying proper values again. Lack of bandwidth pulses is in 99.999% of the time a non-functional WinPcap on your computer. The client falls back on other methods so it can detect how much the network is being used, but it only pulses network info when it can tell whether it's internet or local network traffic (which it needs WinPcap for). @micycle: seriously, cut it out the the "corrupted database" replies. It almost never is anything related to that, unless you treat your computer to regular hard resets. I'm having the same problem, but only since a while ago. My stats show 307GB upload and 2.39TB download, so it must have pulsed for some time. 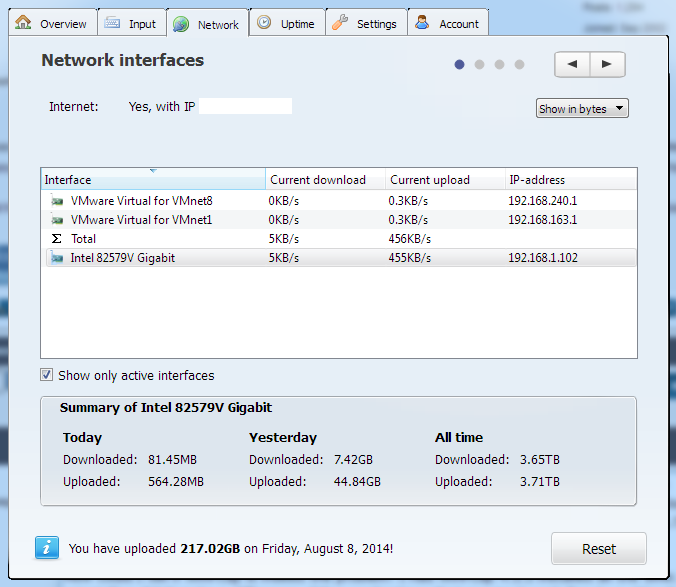 However, since I don't know how long, all my pulses show 0 Bytes upload and download. The local stats show 3.65TB down and 3.72TB up though, which sounds right (I set up a cloud backup service). How could I tell if WinPcap is indeed the problem? I had WinPcap 4.1.3 installed all the time; reinstalling didn't make a difference. Other applications that require it work fine (e.g. Wireshark). 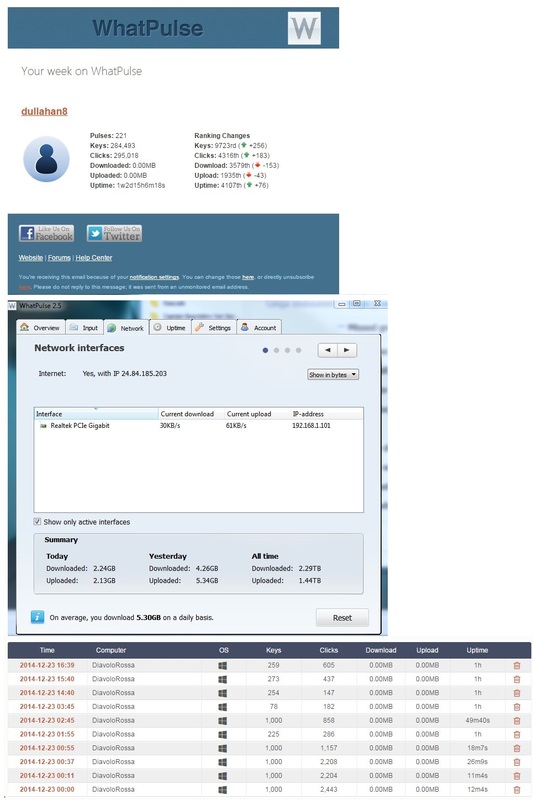 The WhatPulse client (2.5) shows the list of network interfaces and seemingly correct information everywhere – it really just isn't pulsed. Might it be a client problem after all? (seeing as I probably stopped pulsing data transfer after a recent update of the client; nothing else about my setup or home network changed).